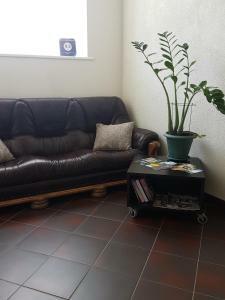 Location, comfort, cleaness and very friendly staff. 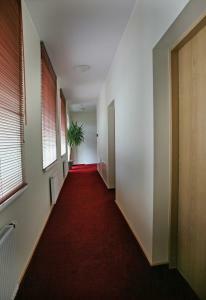 Beautifully decorated appartment, lovely location, walking distance to Aquapark and restaurants. The host was very welcoming and friendly. 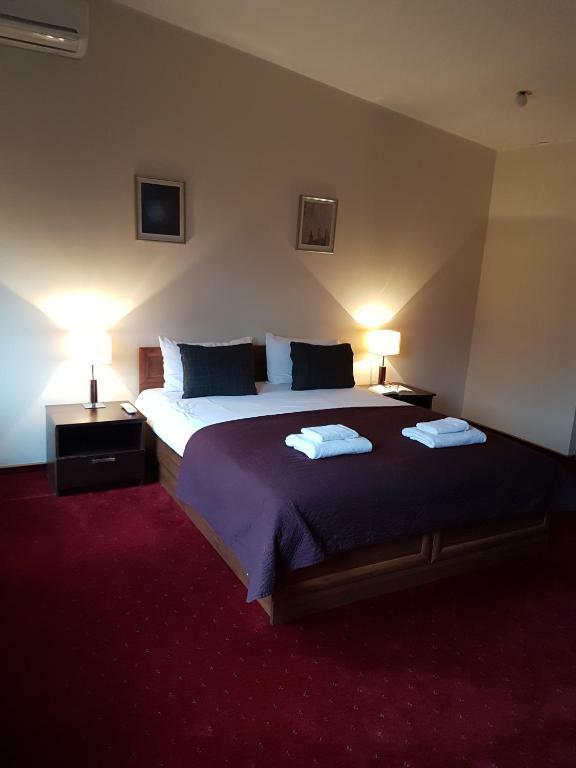 Friendly hosts, great location, comfortable beds, nice bed linen, well equipped bathroom. 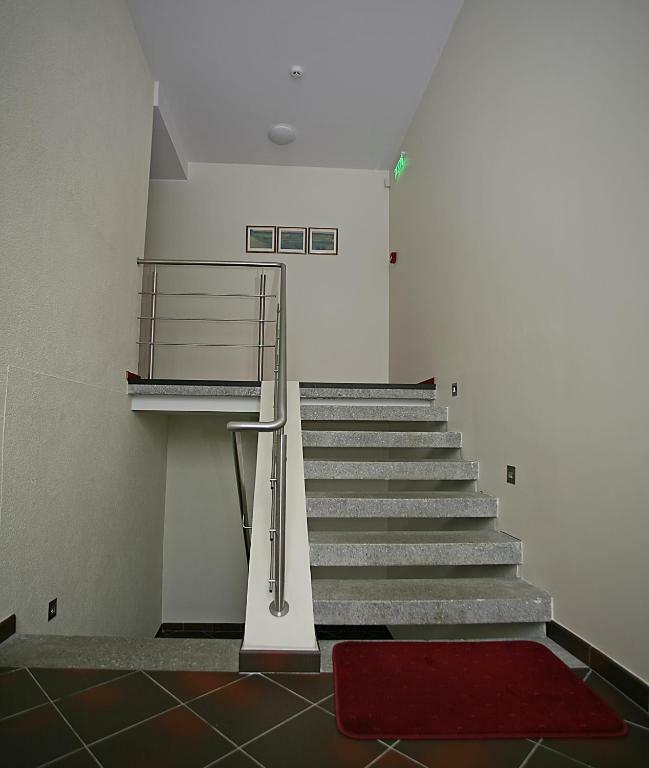 These apartments are in the main central area, everything is reachable by walk. The parking is near by apartments building. We stayed when outdoors temperature was -4 C, bus inside our room it was cosy and warm. 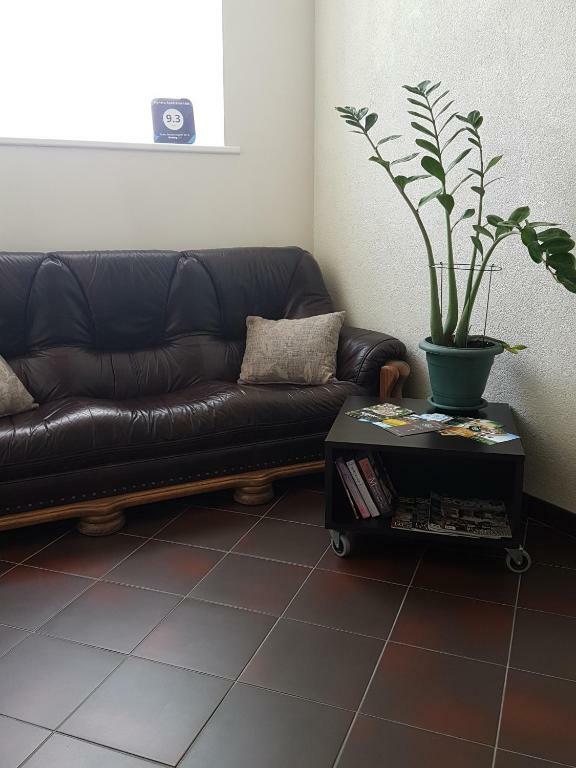 Apartments were equipped with everything necessary for short stay (we stayed jus for one night), spotless cleanness and coffee in the morning. 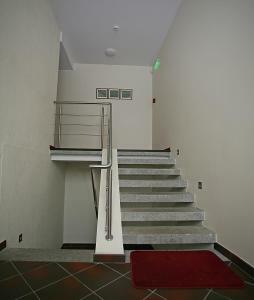 Spacious appartament, very comfortable and well equipped. Vwry close to aquapark. Lock in a great price for Agneta Apartamentai – rated 9.4 by recent guests! 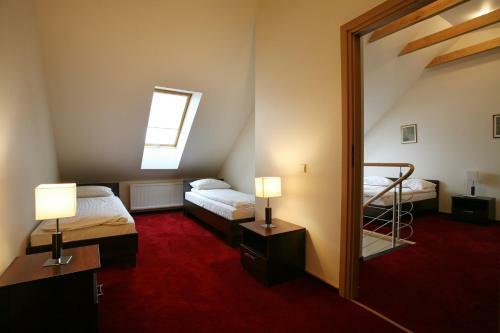 One of our top picks in Druskininkai.Located by the main square in Druskininkai’s Old Town, Agneta Apartamentai offers self-catered accommodations in modern and elegant duplex apartments. They have free Wi-Fi and well equipped kitchens. 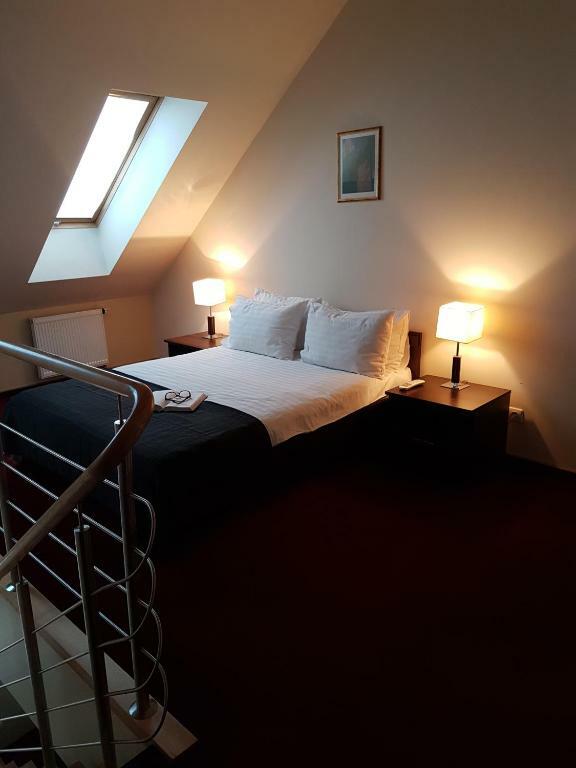 The duplex apartments Apartamentai Agneta are in a renovated building, located in a side street between the town’s Orthodox Church and the bank of Nemunas River. Each apartment has a spacious living room with corner sofa bed and flat-screen cable TV. The apartment’s kitchenette is well equipped and includes a dining table. A wooden staircase leads up to the bedroom, which includes a comfortable queen bed, a walk-in closet and a bathroom with hairdryer. Agneta Apartamentai is located just a few feet from the Aqua Park and SPA Druskininkai. 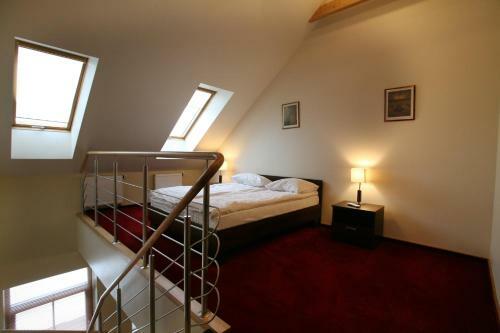 This property also has one of the top-rated locations in Druskininkai! Guests are happier about it compared to other properties in the area. 뀐 Located in the top-rated area in Druskininkai, this property has an excellent location score of 9.7! 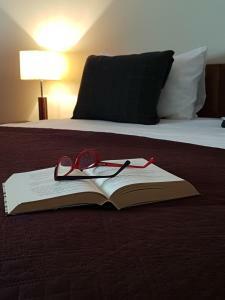 When would you like to stay at Agneta Apartamentai? An elegant apartment with an LCD TV with cable. 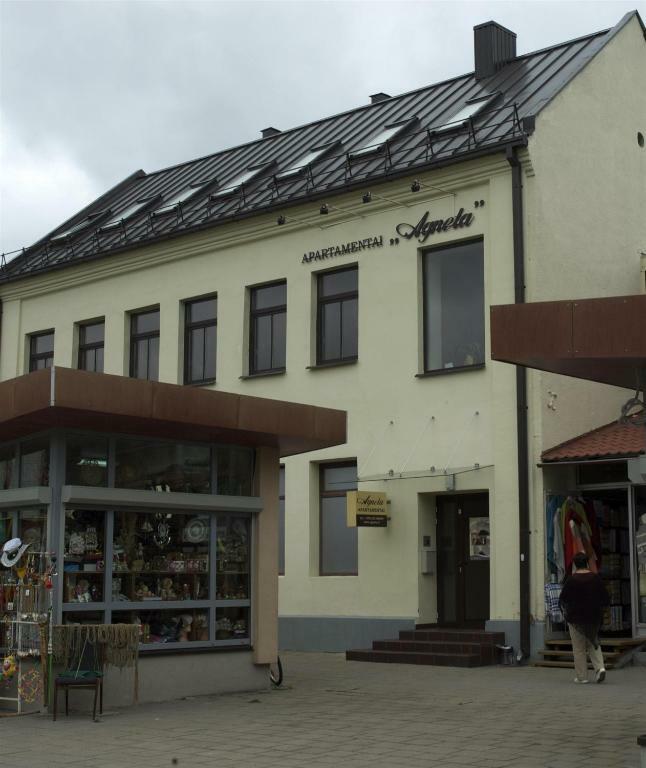 Apartamentai „Agneta“ Druskininkuose yra įsikūrę vaizdingoje vietoje, miesto senamiesčio centre. Visai šalia teka Nemunas, Druskininkų gydykla, Druskininkų vandens pramogų parkas, vandens procedūrų parkas „SPA Druskininkai“. Apartamentuose yra įrengti 9 šeimyniniai butai per 2 aukštus. Vienu metu galime apgyvendinti 29 svečius. House Rules Agneta Apartamentai takes special requests – add in the next step! Agneta Apartamentai accepts these cards and reserves the right to temporarily hold an amount prior to arrival. 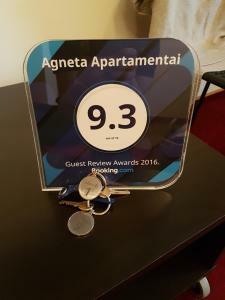 Please note that Agneta Apartamentai has no reception. Please inform the property in advance about your estimated time of arrival in order to arrange key collection. Please inform Agneta Apartamentai of your expected arrival time in advance. You can use the Special Requests box when booking, or contact the property directly using the contact details in your confirmation. Excelent location, all the necesary things and more were provided by hosts. Sound isolation is poor. TV could be better. More of an observation, not a negative thing - We stayed two adults, but as i understand, these apartments are suitable for four persons. And it should be comfortable to stay for four, but not with little children (because these apartments we stayed in were two floored with stairs). The TV signal was somewhat weak. Everything was great, as expected. No private parking, you have to search for a place in the streets which are tather crowded with cars. 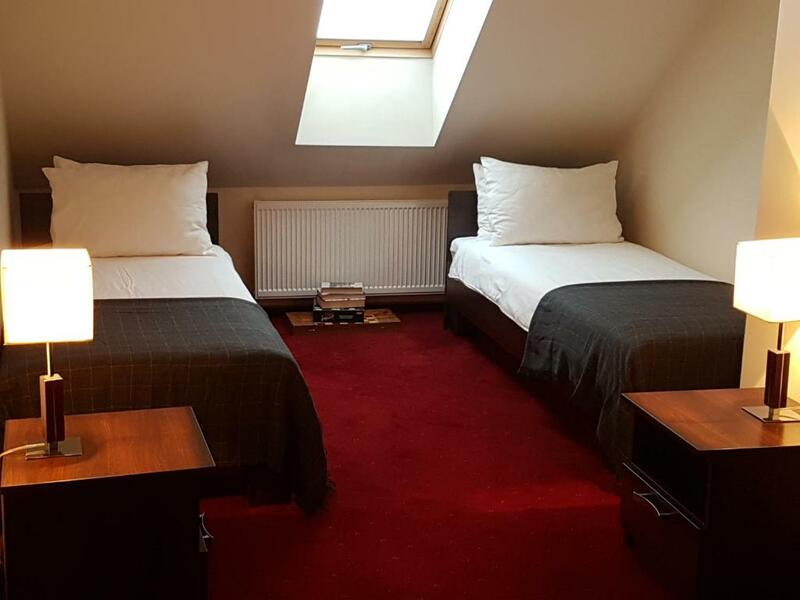 Great location, cozy and clean rooms.